Instead of writing a check, we offer LCB Visa debit cards. 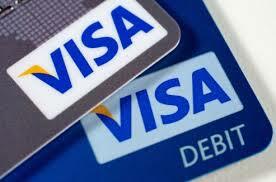 You can use the card anywhere Visa is accepted. The amount of the purchase is deducted from your monthly checking account and detailed on your monthly statement. You can also use your debit card along with your Personal Identification Number (PIN) to withdraw cash from your checking or savings account. For you protection, LCB Visa debit cards are issued with a preset limit of $1,000 per day for purchases(gas stations, grocery stores, restaurants, etc.) and $500 daily cash withdrawals. Do you have a smartphone? We recommend enrolling in Shazam Bolt$. You can check your checking account balance on your phone as well as sign up for fraud alerts. You can download the app at your Google Play or App Store. Search for Shazam Bolt$. Stop by to fill out an application for a debit card today.